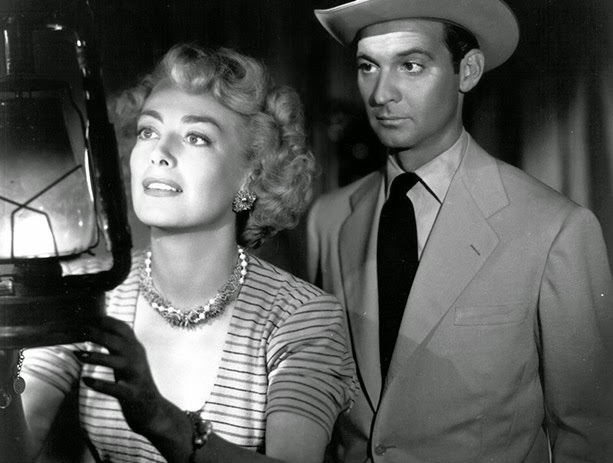 A hard edged and fast moving political drama, Flamingo Road combines noir elements with a gripping and asymmetrical personal duel between a man who embodies established corruption and a woman with nothing on her side except steely determination. When the carnival is driven out of Boldon City, weary dancer Lane Bellamy (Joan Crawford) decides to stay behind, tired of a life on the move. She befriends the clean-cut Fielding Carlisle (Zachary Scott), Boldon's deputy sheriff. He helps her to find a job as a waitress and they quickly fall in love. But Sheriff Titus Semple (Sydney Greenstreet), the local power broker, has big plans for Fielding, and they don't include Lane. Titus pressures Fielding into dumping Lane and marrying the wholesome Annabelle (Virginia Huston). Backroom political operative Dan Reynolds (David Brian) and Titus then combine forces to have Fielding elected as a state senator. Lane, unbowed, resists Titus' attempts to run her out of Boldon, and instead finds her way into Reynolds' heart, and they get married. As Lane makes a giant leap upwards and joins the social elite, Titus sets his sights on backing Fielding to win the governor's seat. This causes a rift between Titus and Reynolds, leading to turmoil among the political power brokers and a new showdown between the Sheriff and the former carnival dancer. 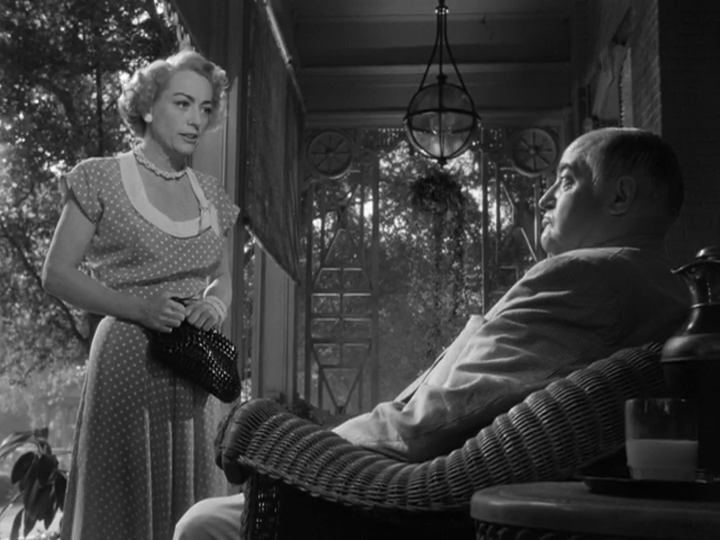 Directed by Michael Curtiz and written by Robert Wilder, Flamingo Road is a breathless combination of brutal politics and personal rivalry. Clocking in at 94 minutes, Curtiz demonstrates the best attributes of efficient film making, packing the film with multiple romances, backroom dealings, political manipulation, threats and blackmail, and an intense, years-long hatred between Titus and Lane. The title refers to the street where the social elites have their homes, a neighbourhood that Lane can only dream of attaining as she tangles with Titus. It's an intriguing confrontation between a powerful ruthless man, and a disadvantaged weak woman. Titus is the ultimate insider and insatiable puppet master who controls the city, influences the state, and deploys every dirty trick to get what he wants. Lane, the literal outsider, appears to be hopelessly outclassed. But the plucky performer finds ways to survive, and then thrive, to once again become a thorn in the side of the despicable sheriff. Sydney Greenstreet gives one of his best performances this side of The Maltese Falcon, creating in Titus an indelible and hate-worthy villain. Titus never loses his temper, and is never ruffled. He treats every setback as another opportunity to dish out more severe punishment and colder revenge, as Greenstreet revels in the character's rich narcissism, either holding court on the hotel patio or guzzling milk by the jugful. Crawford provides a worthy opponent as only she can, Lane relying on her hard-earned survival skills to hold her ground after deciding that she's had enough running for one lifetime. The film does stumble to find a satisfactory ending, with Curtiz and Wilder appearing to run out of time and ideas, and resorting to obvious methods to settle the score once and for all. It's an unfortunate conclusion, because otherwise Flamingo Road earns its residency along the street of noir gems.